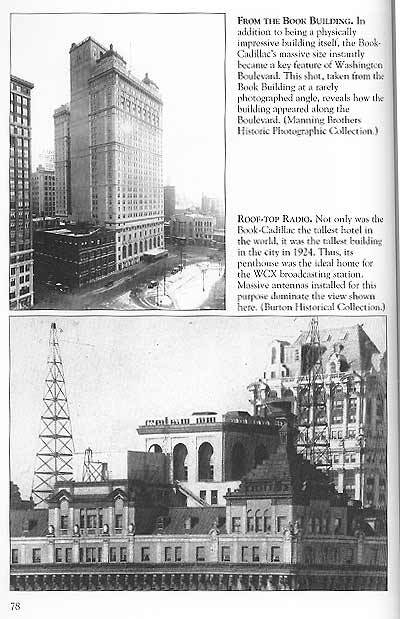 The Anchors of Washington Blvd. 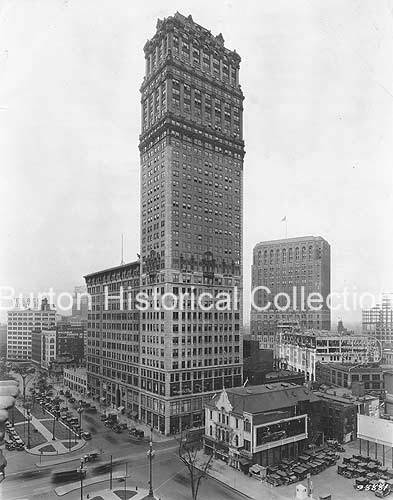 Front Cover, click for hi-res. Back Cover, click for hi-res. 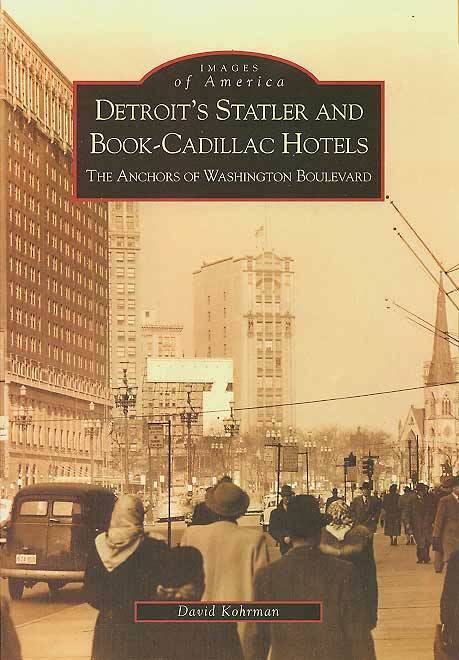 "Detroit's Statler and Book-Cadillac Hotels: The Anchors of Washington Boulevard" is published by Arcadia Publishing as part of their Images of America series. 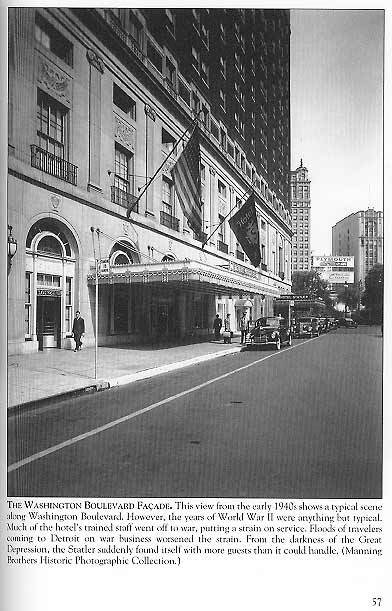 Each Arcadia title contains 128 pages of high quality historic photographs and descriptive text. 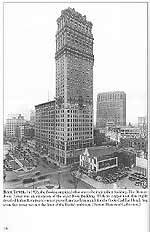 A companion to this website "Detroit's Statler and Book-Cadillac Hotels" is a look back at the glory years of Detroit's two leading hotels. 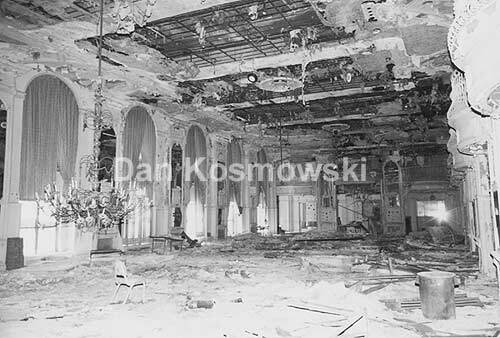 183 photographs divided into 4 chapters cover a wide range of topics such as construction photos, people, events, interior, exterior, and eventual decline. 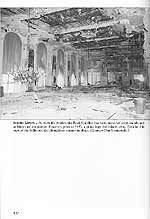 Gathered from the Manning Brothers Historic Photographic Collection, The Burton Historical Collection, The Walter Reuther Library at Wayne State University, and several private collections, the bulk of these rare images have never before been seen in print or on the web. Order from this website! Help support this site! Signed copies are available to order right from this site. Cost is $20 for each book + $1 for shipping. Copies purchased direct mean greater profits to be used in further development of these pages! I pride myself on my eBay track record and will ship quickly upon recept of payment. 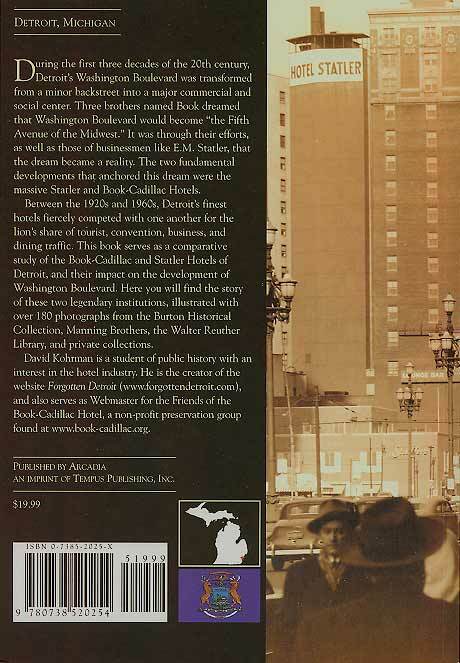 Detroit area book stores: If you live in the Detroit area you will find this title in your local bookstore. Detroit's Statler and Book-Cadillac Hotels is divided into 4 chapters. Below you will find descriptions of these chapters as well as sample photos and page scans. Please note that the actual book is much higher quality then these scans. 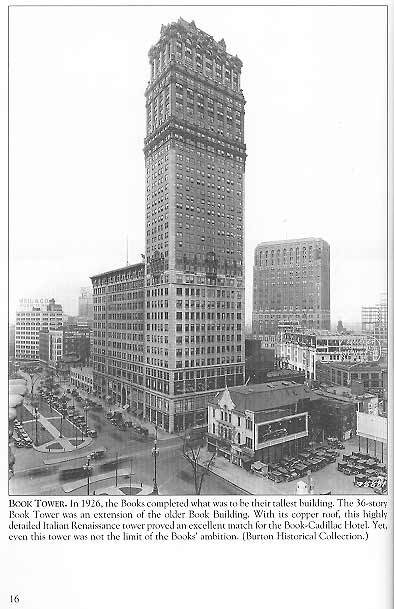 One: "The Fifth Avenue of the West"
In this chapter the backstory of Detroit's early hotel industry and development of Washington Blvd is estalished. 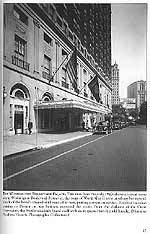 Two: "The Statler Hotel: 1915-1975"
The second chapter covers the revolutionary Statler Hotel's 60 year run, from the rise of the Statler chain, to the highs and lows of the following decades. 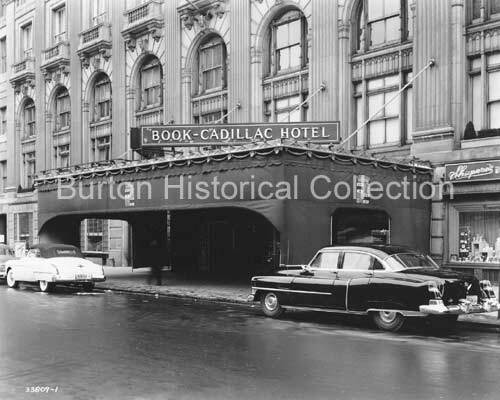 Three: "The Book-Cadillac Hotel: 1924-1984"
Like chapter two, this chapter covers the run of the Book-Cadillac from the ambition to the Book brothers, to its long decline in the 1970's. 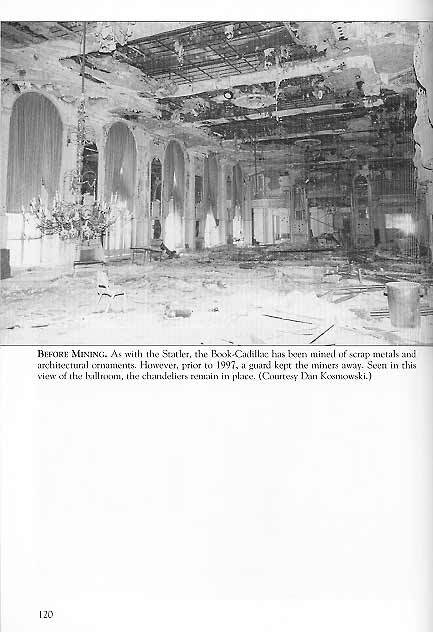 This chapter provides a look at the hotels in the 1990's. Key focus is given to the mining of architectural features during the closure.